The discussion of technology has been a controversial one when it involves my parents. They don’t own a computer and my mother’s cell phone is dated, but functioning. They feel they have all the technology they need and are rather leery of the concept in general. Don’t even bring up facebook. Unfortunately, they have only heard of the negative aspects of computers/social media/internet. They know everything they want to know about teens posting X rated photos of themselves, cyber bullying and people over-sharing on Twitter and facebook, companies failing to protect our identities and viruses that cause access to banking information. They know about this blog, and I’ve read specific entries to them, but they don’t read it on any kind of regular basis. Perhaps that’s why I’ve lived this long!! Little Sister and I have tried to talk them into getting a computer and are swiftly shot down. I’ve tried to tell them about the positive aspects of computing; the ability to reach around the world from your couch, talking to family in different time zones with simple key strokes, shopping without pulling out of the garage (ok that’s something I appreciate more than they do! ), about connecting with their grandkids, about finding friends. 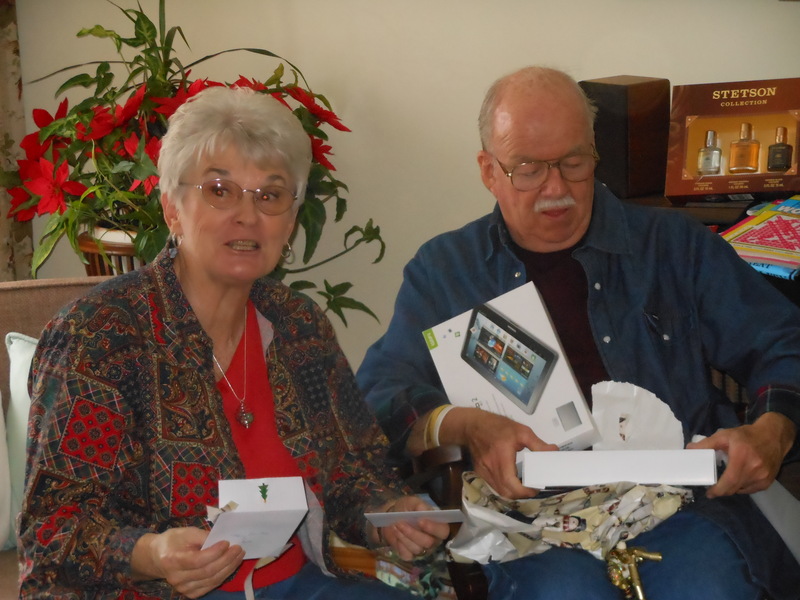 So at Christmas, Little Sister and I risked our lives and our sanity by buying our parents a tablet. You know something memorable was being said here, dontcha? So while they have a tablet, and as of last night, an email address, they refuse to entertain the idea of facebook. Second Born Son got his facebook account this week. We made an agreement that when he reached a certain age and with a certain level of maturity. Some people think it’s not a good idea for a person his age to have a facebook account, but The Big Guy and I have a different perspective on this. We live in a technological age. Toddlers have toys that interact and compute. If we can give him guidance and structure on how to use this technology, then we are doing our job as parents. When the day comes that he needs to learn how to drive, we will take him out and give him the tools and experience he needs. Why would we do any less when it comes to the internet? I don’t believe that the internet, or facebook, is the root of all evil. I think people who over share their thoughts online are the same people you stand behind in the line at the grocery store who talk too loud and describe in great detail their most recent medical procedure. These people are just as irritating whether there is a computer in their hands or not. For us, the key is supervision and transparency. I have the password and we have set time frames for when he can be online. It won’t be perfect; as with his brother, there will be glitches and growing pains. But I’d rather be beside him and help him navigate the internet, than leave him to figure it out for himself. He can learn alongside his grandparents!